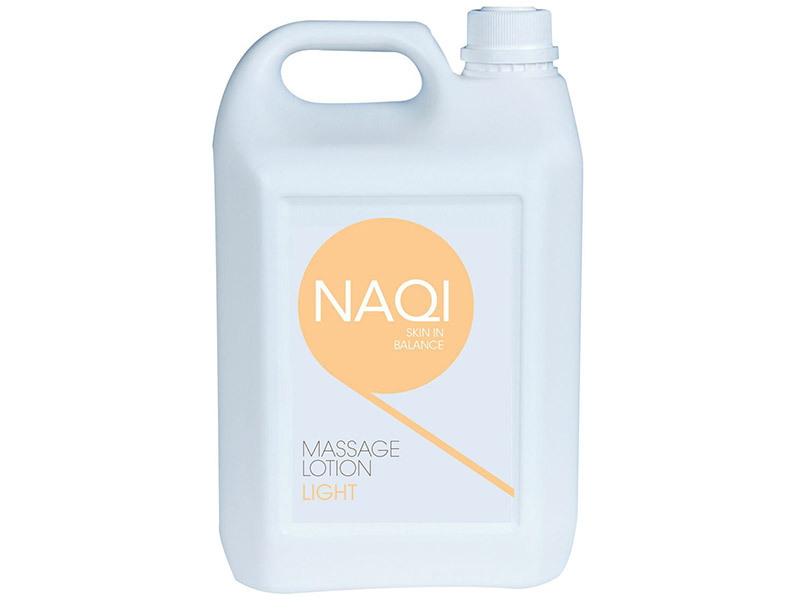 Naqi Massage Lotions prevent the negative side effects of the mechanical handling of the skin during a massage. These lotions are hypoallergenic and easy to rinse off using water. 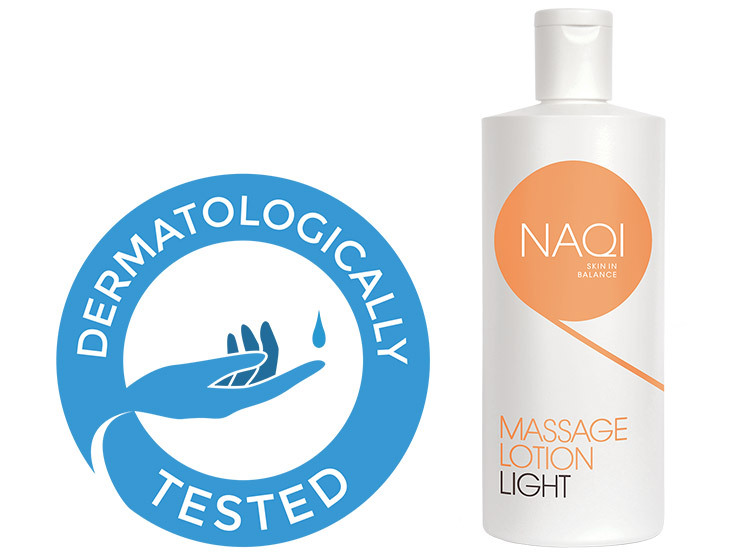 NAQI massage lotions are skin-kind-oil-water emulsions with the same pH level as the skin. They are suitable for various applications and have specially adapted lubricating properties. 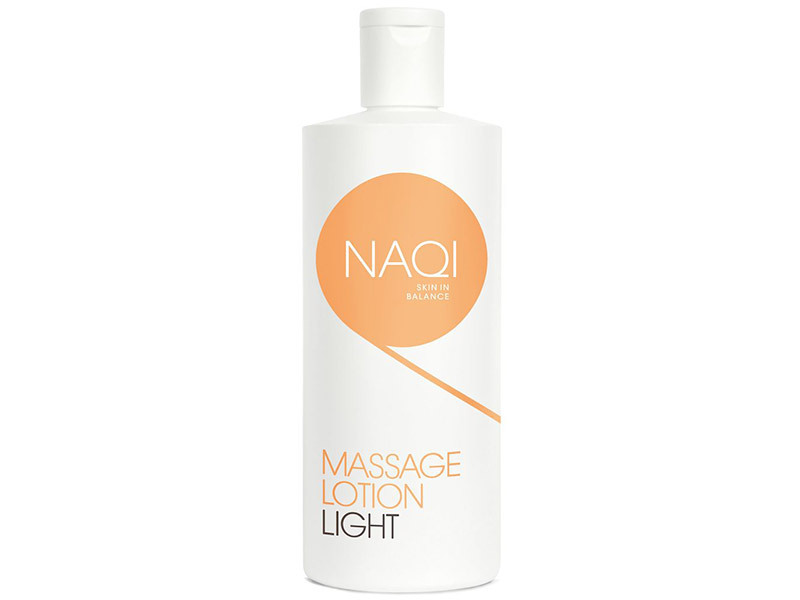 NAQI Massage Lotion Light is a wonderful skin care lotion. Non-oily, ideal for short massage. Prevents rough skin and can also be used as a body lotion.